Don’t feel like driving? Charter a cruise and let us do the driving or you can also charter your own boat. Feel like hosting friends and family and just want to hire someone to drive the boat so you can enjoy and relax? Charter a yacht. Make yachting a desirable venue for Weddings, Birthdays, Anniversaries, Fundraisers, Corporate meetings, memorials and holiday parties. You get to enjoy while we do the driving. 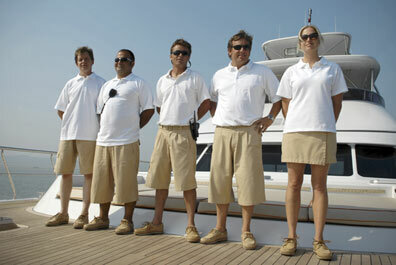 The utmost in personal service and premier experience awaits you on a chartered boat. Make memories will last a lifetime. Every hour is yours to spend relaxing at your own unhurried pace. The bay and ocean are your oyster. It’s all about total privacy, personal service, gourmet meals, and absolute relaxation. We will plan down to the details to make your experience enjoyable. Whether you want to take delight in the culinary pleasures of a private chef, or if you want to just ride with your feet over the edge, go right ahead. You are the boss. From San Francisco Bay Area boat charters to international waters, you have come to the right place. Contact us for more information about charters!